Since the moment Disney bought LucasFilm, the company hasn't stopped producing as much Star Wars content as they can. But unfortunately following the disappointment of Solo: A Star Wars Story early this year, the studio has scrapped plans for other spin-off projects and has decided to focus on the current trilogy of films. But this recent news certainly doesn't apply to TV shows, as Jon Favreau's long awaited live-action Star Wars series finally found a perfect home with Disney's new streaming service. Now we have gotten new details about the show including what it will be about, what big name directors are on board, and who may be starring as the lead. 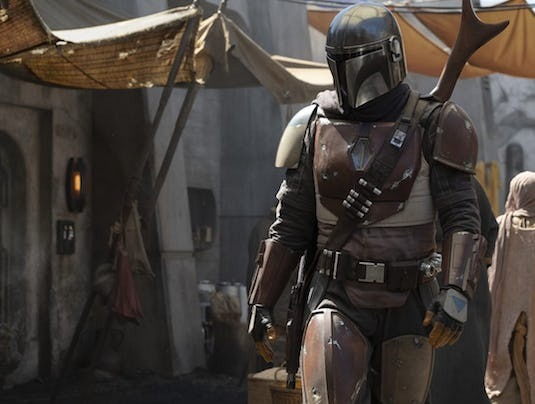 Favreau who is executive producing and writing the series revealed that it will in fact be called The Mandalorian, who exist as a race of warriors in the Star Wars universe that includes the likes of Jango and Boba Fett. This of course explains why the main character we see in the first image from the show (Which you can see above) is wearing their same armor. The series will be taking place three years after the events of Return of the Jedi, with the galaxy now under the role of the New Republic. This is a time period that hasn't yet been explored in the Star Wars films, and could also tease some things that happen in the current trilogy. 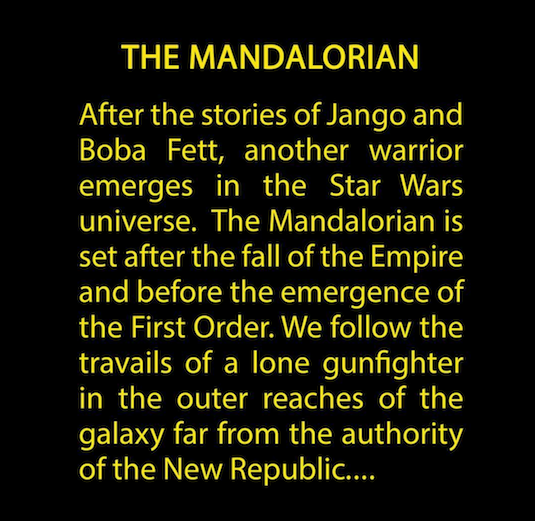 The plot description seen above explains that the lead will be from the Mandalorian planet, but is described as a lone gunslinger. Despite this, we're sure to get some more insight into this person's past and the civilization they came from through some kind of flashbacks or backstory. Dave Filoni is apparently going to direct the pilot episode, and he's someone who is best known for his work on the successful Disney XD series Star Wars: Rebels, and Clone Wars. The Mandalorian culture is something that Filoni already has explored in Rebels, and will more than likely re-explore here. 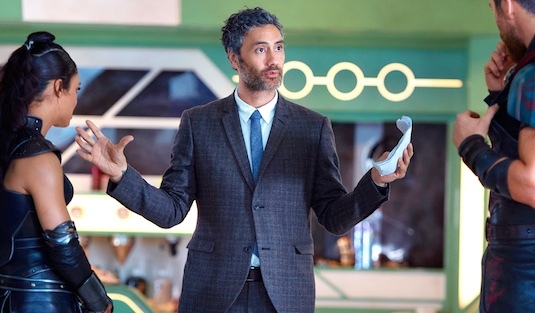 Other big time directors who have come on board include Bryce Dallas Horward (Solemates), Rick Famuyiwa (Dope), Deborah Chow (Jessica Jones), and fan favorite Taika Waititi (Thor: Ragnarok). Its unknown just how many episodes each director will be working on, but we're expecting about a ten episode season considering the length of the Marvel shows that are going to be on Disney Plus. Waititi particularly is someone who Star Wars fans have even wanted to see play Boba Fett, but had ultimately said he wouldn't work on a film in the series. Well I guess this technically doesn't count. 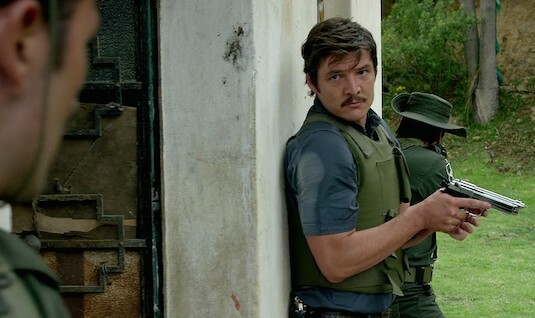 Rumors have also suggested that the main role of the show will be played by Pedro Pascal, but this has yet to be confirmed. The role certainly seems like something up Pascal's alley given the type of morally ambiguous yet charismatic characters he's played on shows like Narcos and Game of Thrones. So are you excited about The Mandalorian? What other directors would you have liked to see work on the show? Let us know below!